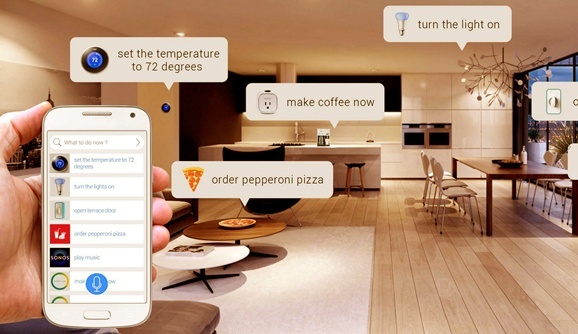 We're all probably much more familiar with the idea of a "smart-home" now that the technologies that allow us to turn on the lights, adjust the thermostat, see who's at the front door, or look inside the refrigerator to check if we need more eggs have become much more commonplace. The concept of the "smart office," however, has some catching-up to do. As the workplace begins to take notes from the smart-home at the request and, frankly, the expectation of the modern workforce, here are some practical solutions businesses can invest in to meet those demands, attract new talent, and improve the quality of time spent in the office. A basic Access Control System (ACS) is something that everybody uses but nobody pays attention to...until something goes wrong. In theory, it provides a front-line, critical layer of security that helps keep employees safe and protect your company's assets (physical and digital) from being stolen. This most commonly shows up in the form of a fob, keycard or badge which, unfortunately, can both be easily copied or lost...ESPECIALLY, if you have to carry around more than one. A smart ACS is mobile-ready, uses multi-form factor authentication, is highly encrypted, and cloud-based. Which are all ways of saying its a lot more secure, a lot less likely to be lost, and far more convenient. And, specific to the Openpath solution, you don't even need to open up the app or take it out of your pocket for it to work, you just walk right in the door. In addition, guest passes can be sent out via text message, doors can be opened or locked down remotely, and because the system is cloud-based, everything can be managed real-time and from a single pane of glass. All of us have had to frantically wave our arms, hoping the energy- conscious motion detector will sense that we have been left in the dark and return us to the light...are there any worse places to have that happen than the bathroom stall?? You know what I'm talking about. Conversely, we've all driven by a high-rise office building at odd hours of the night and seen entire floors lit up like Christmas, but not a creature was stirring (maybe a mouse), and wondered about the efficiency and the electrical bill. Smart Office energy efficiency solutions eliminate both scenarios because it knows who is (and isn't) in the office at any given time. It also can manage HVAC systems and cross-reference with calendars and weather forecasts to compute the most efficient way to keep everybody comfortable while in the office. Given the rising cost of office space in every part of the country, getting the most bang for your buck is an ongoing priority. We all know the headache of looking for an available meeting room at the last minute, or looking for a quiet place to make a phone call in the ever-increasing world of the "open workspace." A smart space management programs look at office flow and logistics and help achieve previously unheard of space utilization rates. Maintenance can also become more efficient as the higher trafficked areas are identified, allowing you to pin-point parts of the office that need more, and less, frequent cleanings. Just to bring it full circle on the bathroom stall conversation, this would eliminate the annoying "empty paper towel and toilet paper" scenarios in busy restrooms. Most of us have been guilty of (or know somebody guilty of) hoarding private stashes of office supplies that seem to otherwise disappear at rapid rates and take forever to replenish. That's because the current system for tracking and reordering inventory is manually intensive and largely imperfect. A smart office supply management system is set up almost like a vending machine; employees use their smartphone (same credential they can use for their smart Access Control System) to access office supplies. Improved accountability, tracking of consumption patterns for seamless reordering make everybody happy, including the accounting department. Not only do they apply to office supplies but can also extend to the real vending machines saving everybody the time and headache of searching lounge chair cushions for loose change to get the, much-needed, mid-afternoon soda. From the foundational, and legally required access control system, to the nice-to-have office maintenance system, all of these "smart office" investments drive tangible benefits to the bottom line of the business and intangible benefits to the happiness and productivity of those of us who are using them. We've already begun integrating the Internet of Things into our homes to help enhance our personal lives, its clear the time has come to make the move into our workplaces to enhance our professional lives. "Work smarter, not harder" has never been more relevant, or more achievable, than it is today. Your phone gets you in. For the office that doesn't want to compromise ease for security, click here to learn about our patented, next-generation access control.